The Singapore Table Tennis Association has announced its squad lineup for the upcoming 2017 South East Asian Games (SEA Games), and the inclusion of one player in particular is interesting to note with Feng Tianwei making the cut despite the recent confusion surrounding her position within the team's plans. Feng Tianwei became the hot topic of table tennis in Singapore when the national association decided not to renew her contract back in October 2016. However, a deal was reached in January of this year with both Feng Tianwei and the STTA forming a mutual understanding and her selection for the SEA Games will come as a big boost for the Singapore star. The other female contestant to be selected for the Women’s Singles competition is World no.26 Yu Mengyu, while the two representatives will also pair up for the Women’s Doubles tournament. Joining Feng Tianwei and Yu Mengyu in the Women’s Team event is Zhou Yihan, Lin Ye and Yee Herng Hwee. Leading the men’s squad at the 2017 SEA Games is Gao Ning, who will compete in three of the competitions with the 34-year-old being chosen for the Men’s Singles, Men’s Doubles and Men’s Team categories. 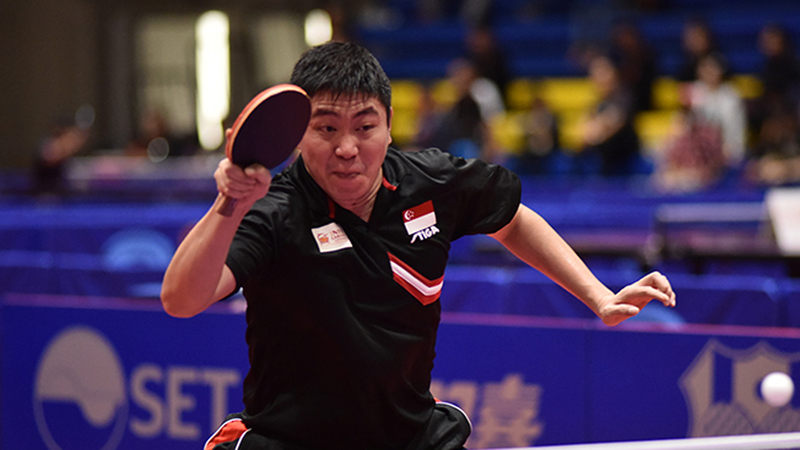 Clarence Chew is set to feature in all four of the events which he is eligible to make an appearance in, with the remainder of the men’s lineup consisting of Pang Xuejie, Ethan Poe and Lucas Tan. The 29th edition of the South East Asian Games will take place in the Malaysian capital city of Kuala Lumpur in August.